Sparrow tattoos may seem fairly straightforward, but they can have many different meanings. Check out some of the lore for yourself. The sparrow is really such an inconspicuous little bird. Small, buff and brown, it doesn't catch the eye the way flashier birds like swans and parrots do. It simply flits from here to there in the company of other sparrows, free to take wing as it pleases. So, if sparrows are so run-of-the-mill, how did they become the inspiration for so many tattoos? In general, most sparrow tattoos are quite small, like the birds themselves, but other elements are added to the basic bird artwork to create a fully fleshed design. In some cases, sparrows and swallows are even used interchangeably. Let's take a closer look at a few examples. Sparrow tattoos also have their place in prison culture, where the birds symbolize freedom. Certainly everyone with a sparrow tat isn't a convict, but some convicts choose sparrows as a statement about their own freedom, especially when they are nearing release. These tats are typically worn somewhere on the hands, wrists or arms, but they can really be placed anywhere. 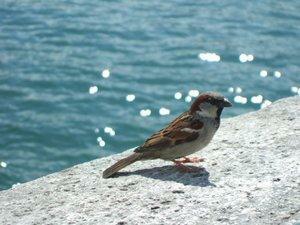 You may not perceive the common sparrow as the bird of love, but many people do. When sparrows mate, they mate for life. Nice idea, isn't it? So for some people, sparrow tattoos are all about love and loyalty. Sparrows used in this context are often tattooed in pairs. Posed together, they can symbolize a current union. 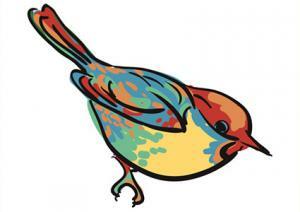 Another popular design is to pose one sparrow looking forward, and one looking back. This symbolizes letting go of a past relationship, and looking ahead to a new one. The ancient Egyptians believed sparrows would catch the souls of those who had died. In modern times, sparrow tats are sometimes used as memorial designs for loved ones who have left this earth. The birds can be inked holding the ends of a banner that bears the name and birth/death dates of the person being memorialized. In recent years, a sparrow tattoo of a different kind has gained popularity. The smash hit Pirates of the Caribbean spawned an instant classic character. Captain Jack Sparrow, an accidental drunken swashbuckler played to perfection by Johnny Depp, immediately caught the public imagination, inspiring sparrow tats in a wide variety of designs. Only time will tell whether these particular tats will become classics, or fade out of favor. As you can see, sparrow tattoos can mean many things to many people, so it's important not to assume their meaning without asking the person who is wearing one. If you're lucky, they'll be willing to talk to you about it. 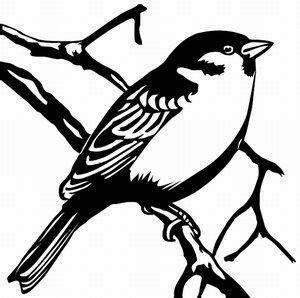 What do sparrow tats mean to you? If you have one, use the comments box below to tell us about your design, and how you came to choose it.